Bloggers are seen as having perfect lives, perfect careers and perfect selfies. Things aren’t always how they seem especially when it comes to blogging. Here are 5 common mistakes people make about bloggers. This year I’m entering my 6th year blogging. That seems crazy to type as I never imagined in a million years something I’d start one day aged 15 would still be a part of my life at 21 years old. The amount of times I’ve reshot photos, stayed up until 1-2am editing posts and emailing. With being a full-time student it’s definitely a lot harder to blog as well. Yes there are some really confident bloggers out there but there are a lot of us (including myself) who are a little body conscious. Yes we may post hundreds of photos of what we’ve been wearing and how we wear our clothes but we’re not the most confident people in the world. We’re real people just like you. When I have parcels delivered all the time to my house and my student house my family and housemates could easily think I get everything for free. 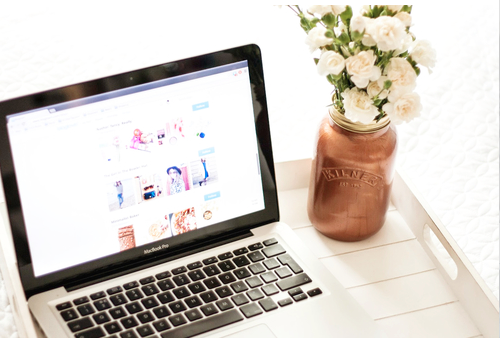 When I started blogging I had no idea about PR, Social Media and gifting, which is now a norm for many bloggers. Most bloggers (including myself) started blogging as a hobby and blog for nothing and still continue to treat blogging that way. Blogging is a hobby to me and any money I earn is an extra. I even think this myself from time to time. I sometimes see photos of bloggers and think their lives must be perfect. Yes you see bloggers instagramming everything they’re up to, all the amazing events they get invited to. I don’t get the chance to go to many events, as I don’t live in London. Bloggers aren’t always obsessed with appearance. Everyone likes to look good for a photo but we have no-make up days to and days we just want to chill out and relax. I don’t wear make-up unless I’m going out and I’m totally fine with just lounging around in a jumper and leggings! These are just some of the misconceptions I think people have about bloggers. Can you relate to any of these? this is very useful ! thanks for sharing ! such a true and great post. All of these are so true! Great post! I love it! Your blog is so cool. This is such a lovely post! Love your blog!